The long wait is over! Microsoft has announced that the software developer kit for its large multi-function touch-screen tabletop computer, the Surface, will be made available to those attending its Professional Developer Conference at the end of the month. The package, which the company has been promising since April, will introduce developers the Surface’s unique features such as "vision-based object recognition," ScatterView, and how the kit "aligns with the multitouch developer roadmap for Windows 7." The software developer kit is introduced as part of a listing for a session focused on writing Surface application. The Surface, originally called "Milan," is a project over five years in the making and the first in what Microsoft hopes will be a start of a long line of surface computers. It is entirely controlled by touch, and not a single mouse and keyboard is in sight. For instance, users can simply pick up a paint brush on the screen or just dip their fingers in virtual paint cups if they want to paint the screen. 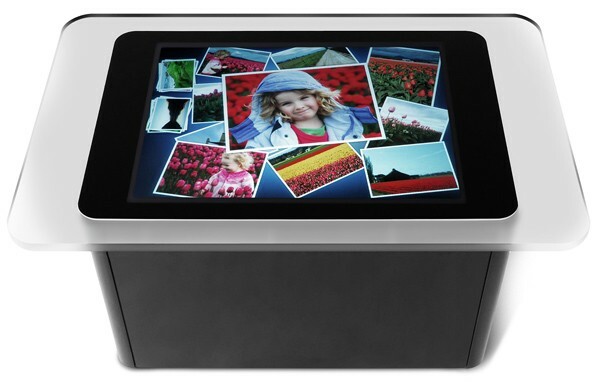 Meanwhile, a stack of photos can be easily sorted through and shared just by shuffling your hands on the screen. If they want to resize a photo, just stretch two fingers apart; make the image rotate by pivoting the fingers; the computer can even be used by more than one person at the same time. However, because the device is quite expensive for home use, Surface is being marketed for establishments such as hotels, restaurants, nightclubs, casinos among others. However, Microsoft hopes that Surface would become available to consumers within three to five years. At its core, Surface is powered by a high-end Vista PC with an off-the-shelf graphics card, 3GHz Pentium 4 processor, and 2GB of memory. Underneath the roughly textured, scratch-proof, and spill-proof surface covering the top of the unit, five infrared cameras sense the fingers or other objects touching the surface, while a DLP projector turned on its side generates the screen image people see.